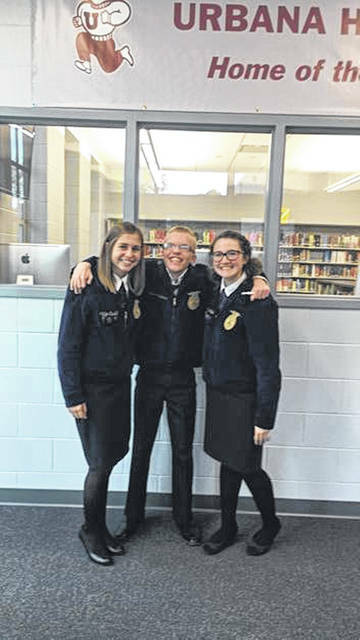 The West Liberty-Salem FFA chapter competed in the county Job Interview CDE on Oct. 16 at Urbana High School. The participants completed a resume, a cover letter, an interview and a follow-up letter. Adalyn Caudill received 1st in division 3, Alyssa Alford received 6th in division 3, and Denver Cushman received 5th in division 4. Caudill moved on to compete at the district contest at Elgin and placed 5th. 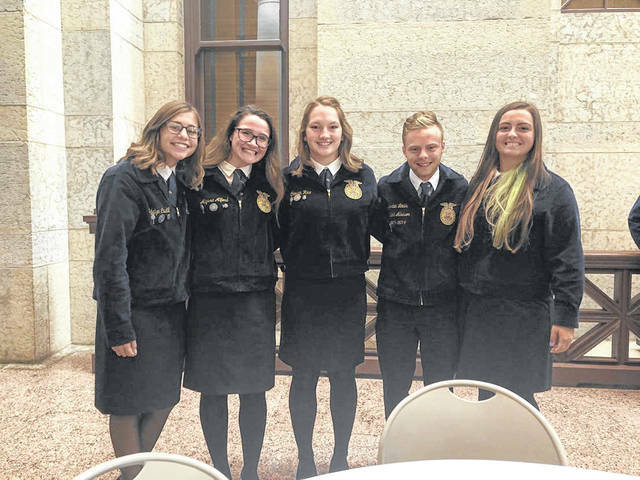 On Sept. 27, five West Liberty-Salem FFA chapter members attended OLLC in the Ohio Statehouse. Alyssa Alford, Gillian Kite, Jordan Lewis, Carmrin Rice and Adalyn Caudill learned to talk to a representative about a local problem and resolution, learned how a bill becomes a law, and learned the levels of representatives and who represented them. Between Sept. 30 and Oct. 2, 14 West Liberty-Salem FFA chapter members attended Greenhand Camp, which gives first-year members an introduction to FFA and allows them to work closely with their home chapter and focus on goal-setting for the coming year, facilitated by Ohio FFA Association state officers. 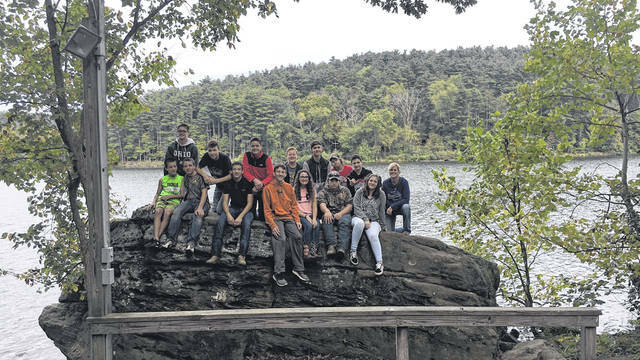 Members participated in leadership activities such as leadership field games, leadership workshops, Adventure Valley, and a FFA quiz challenge. The campers learned to set goals to begin their FFA careers. Adventure Valley is full of obstacles, and members work together to complete the challenge to move to the next activity. During their free time, they could use the rifle, shotgun and archery ranges, check out canoes and kayaks, and play volleyball and basketball.